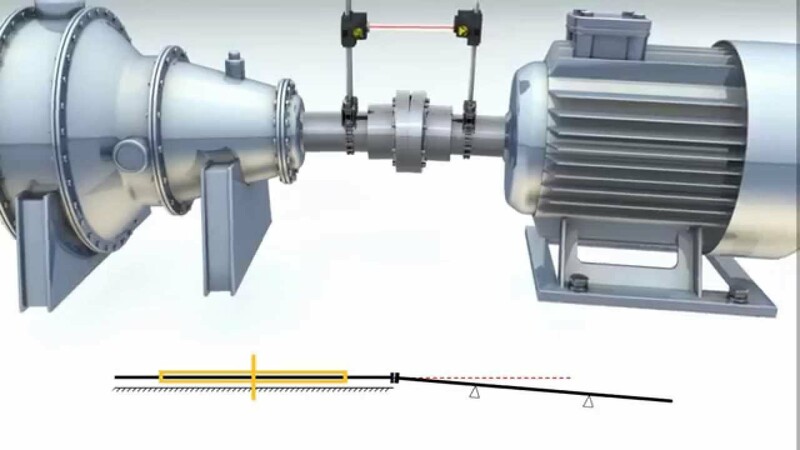 When it comes to handling laser shaft alignment, it is recommended to hire the services of a professional using modern system of shaft alignment that is faster, more efficient and superior to traditional systems. Professionals make sure the core of the connected shafts such as the drive motor to the gearbox is concentric to provide seamless functioning. This makes shaft alignments to function trouble free and devoid of problems that could occur from vibration, bearing and coupling failure. Mechanical systems are vulnerable to being improperly aligned. Should improper alignment occur in this system it leads to increased wear and tear of the machines and eventually high cost of consistent and frequent repairs – all of this can be avoided using well aligned and routinely monitored machines. Unlike conventional methods of shaft alignment including straightedge, thickness gage or dial gage that are time consuming and affects the overall quality of results, a more efficient system is applied like laser measuring devices that use state-of-the-art-technology to enhance shafts optimum delivery and user-friendliness. Remarkable reduction in damage that the shafts and foundation bolts could have been exposed to improperly configured alignment. More efficiency is achieved because reduced downtime of machine automatically implies more availability for usage. It doesn’t end here, tasks are completed in due time increasing productivity at moderate running and operational costs of the machine. This is a great opportunity to cut down on unnecessary spending and save more. The greatest benefit of proper alignment is reducing operational cost. The system is free from errors and precise delivery of tasks is enhanced: There is no human uncertainties involved, reduction in reading errors and in bracket sag influence. Easy to manage: System is easy to maintain and manage effectively by operators. Rapid diagnostic laser beam adjustment: Well functional brackets for rapid and easy setup. Great stability in vertical and horizontal coupling and foot values defined by computational process. There is an accurate diagnosis of machines along with a follow-through foot correction value and direction. During live mode there is display of updated values and direction of the correction.